An historic mountain refuge has been restored by volunteers. The Garbh Choire Refuge is situated in one of the more remote climbing areas in the Cairngorms. 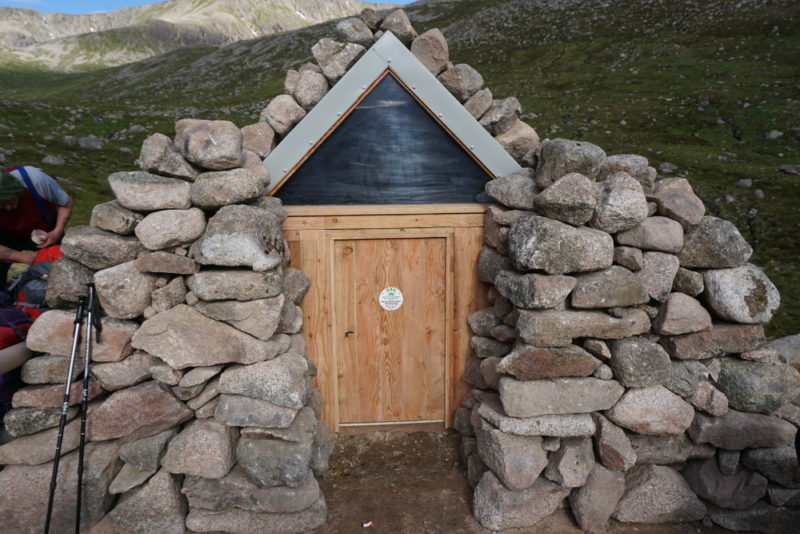 Although usage has been light compared to other shelters in the area, it has played a significant role in the development of both rock and ice climbing in the area and is an important part of Cairngorm mountaineering heritage. It was originally built by Aberdeen University Lairig Club approximately 50 years ago. The refuge, built with a stone covering over a steel frame, was in a poor state of repair and without attention would almost certainly have been lost. Local walkers and climbers mounted a campaign to retain it as a shelter, for heritage reasons, but also because it could potentially save lives in an emergency. The building’s owner, the National Trust for Scotland (Mar Lodge Estate), agreed that the Mountain Bothy Association (MBA) should assume responsibility for its ongoing maintenance. Since receiving the go-ahead from the Trust, a huge amount of effort has been put in to prepare for the main work party, which took place last weekend (22/23 June). The original structure has been retained with new steel work replacing parts of the original framework. The building will continue to be used as an emergency shelter only. It is not intended for planned overnight stays. The restoration concludes many years of campaigning by local activists and months of preparation and hard work by MBA volunteers.